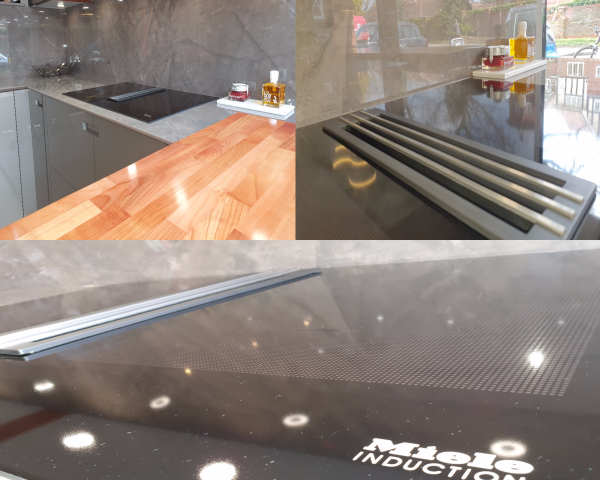 We are pleased to showcase our stunning new Miele Induction Hob with Integrated Extractor. This takes pride of place in our new Next 125 display in our Amersham showroom. Very much the next generation of cooking, this Miele induction hob combines a simple to use induction hob with powerful extraction. This alleviates the need for a large extractor fan, feeding into the minimalist look which many of our clients desire. We are happy to demonstrate this exciting new appliance and would be delighted to show all those interested just how easy and convenient this hob is. Pop in to our Amersham showroom and ask one of the team for a demonstration!